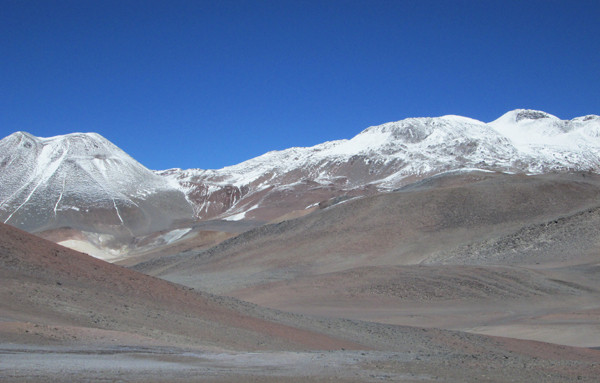 This little known peak south of Ojos del Salado is also known as 'Walter Penck'. We made the first British ascent of this peak back in 1996. SRTM data indicate a height of 6670m is more likely to be correct than the often quoted AIGM survey height of 6658. Cazadero (on the right) from the northeast. 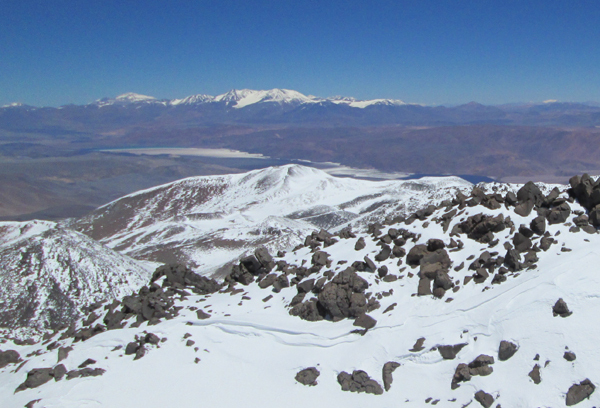 The steep volcanic cone on the left is Volcan Olmedo, 6215m. On the summit pinnacle of Cazadero, February 2013. 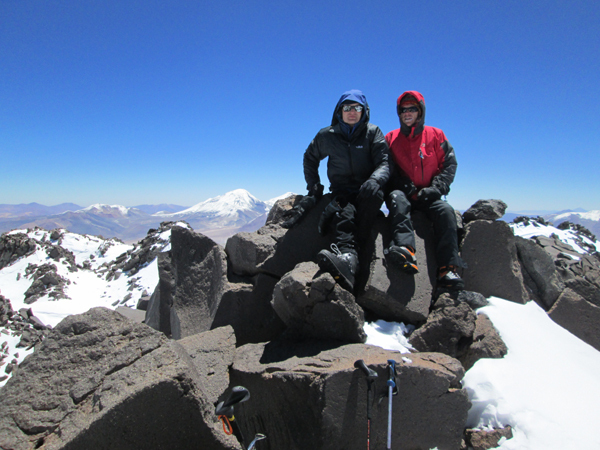 Tres Cruces Sur is the peak in the background. Cazadero SW in the near distance form the summit of Cazadero. The peaks in the far distance are Pissis and Bonete. We can organise guided ascents of this peak and indeed made the first British ascent in the year 1996. For details of how to climb Cazadero and neighbouring peaks please see our guidebooks, which are available in English, Spanish, Polish and French editions, direct from us or from all good bookshops and mountaineering shops.